Do you record your enquiries only to find that you have to re-input all the customers details again when they ring back to book? 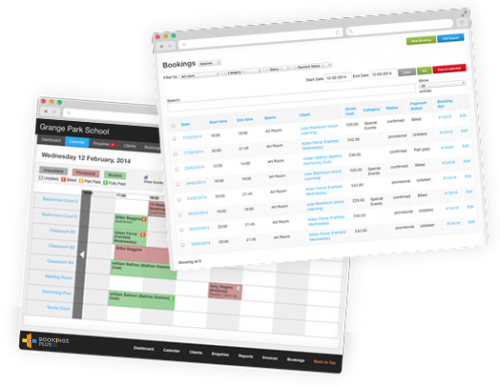 BookingsPlus enables you to record your enquiries, check availability and at a later date, retrieve that enquiry, automatically recheck availability and convert into a booking. 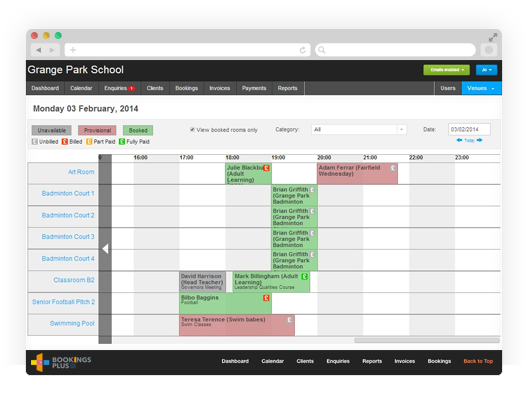 An easy to navigate one page calendar shows details of your facilities and bookings with colour coding to distinguish between provisional, confirmed and school bookings. A flag on each booking indicates whether the hirer has paid. 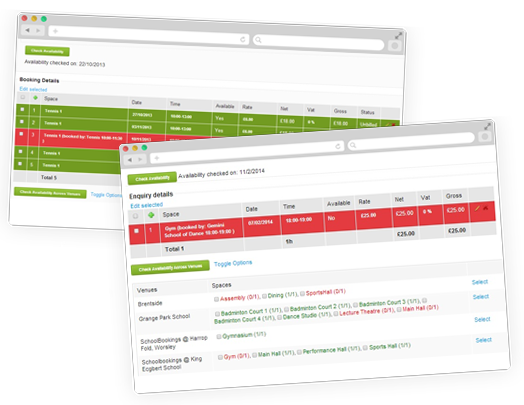 No availability for your sports hall and want to check other spaces or venues? 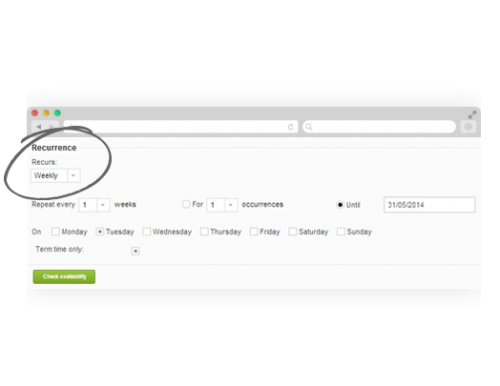 BookingsPlus has a clever availability checker that allows you to easily search other spaces and venues allowing you to cross sell and up sell. 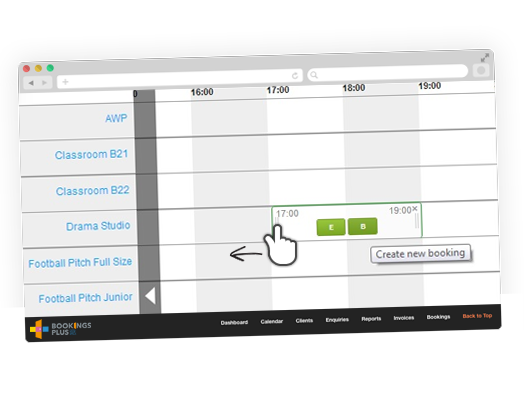 New bookings can be created straight from the desired space and time on the calendar using a 'click and drag' process. Simple and quick! Simply book regular sessions by recurring the booking daily, weekly or monthly for a number of weeks or to a particular date. You can book term time only easily too! 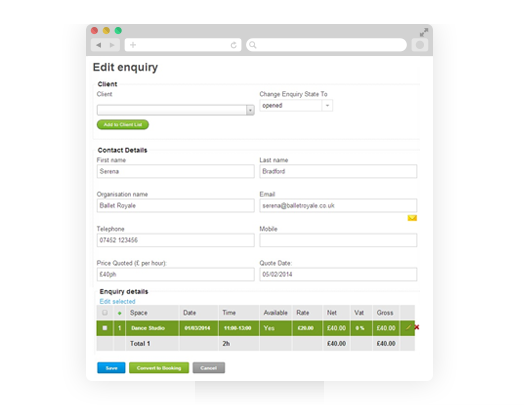 Site staff can easily view the calendar of bookings and can print registers for signing customers in and out, or sheets with information regarding set-ups and requirements.